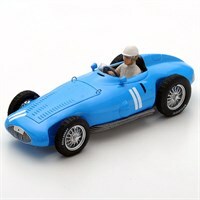 Spark 1:43 resin model of the #11 Gordini T32 as driven by Andre Milhoux in the 1956 German Grand Prix. Spark 1:43 resin model of the #32 Gordini T32 as driven by Hermano Da Silva Ramos in the 1956 French Grand Prix. 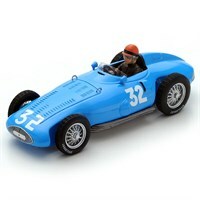 Spark 1:43 resin model of the #4 Gordini T32 as driven by Andre Pilette in the 1956 Monaco Grand Prix. 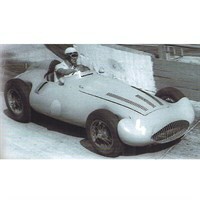 Spark 1:43 resin model of the #24 Gordini T32 as driven by Jean Lucas in the 1955 Italian Grand Prix. 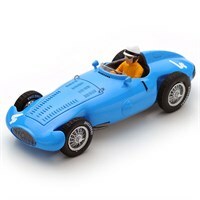 Spark 1:43 resin model of the #4 Gordini T32 as driven by Elie Bayol in the 1956 Monaco Grand Prix.